What I don't believe is that anyone justified in the OT was justified by faith in Jesus Christ dying on the Cross by name and specifically. That is quite impossible since there is zero mention of any of that in the OT. On that I agree, dear "wretched". I say hyper because I finally learned from these threads what the hyper means - works based or assisted justification for the Jews which is just plain heresy. What should we do with these verses (and other similar verses)? Is there not some works going on to "save" the "soul alive" here? Ezekiel 18:26 "When a righteous man turneth away from his righteousness, and committeth iniquity, and dieth in them; for his iniquity that he hath done shall he die. 27 Again, when the wicked man turneth away from his wickedness that he hath committed, and doeth that which is lawful and right, he shall save his soul alive." If the person just believed with all his/her heart back in the days of Ezekiel 18, would that save his/her soul alive? And if so... I wonder why that verse (and some others) are in there? It's clear that repentance is a condition in verse 27 when the person "turneth away from his wickedness", and I do not contend on that at all. But what I do question is the condition listed as doing that "which is lawful". I (myself) understand "lawful" to mean keeping commandments/works based. I can't just throw that verse and it's meaning out to fit what I might want it to mean, I have to read to for what it says. I really do think that doing what is "lawful" is works, and I also believe that if it were just the death of a body (physical death) it would not have said "soul". There is no doubt (to me) that faith and belief were a condition of salvation in ALL dispensations. But verses like these (when taken at literal value) also bring questions (to me) that can't be so easily answered by just saying that faith was all that was required to save a soul (at least in Ezekiel 18). I would have to throw those verses out... and I can't do that. Again "doeth that which is lawful" and saving "his soul alive" seem to be clear to me. 1. ". . . And her seed" - A child born of a woman, apart from a man's seed. 2. "It shall bruise thy head." - The destruction of that old Serpent, the Devil, by the work of the woman's Seed." 3. "And thou shalt bruise his heel." - The death of the woman's Seed." If the person just believed with all his/her heart back in the days of Ezekiel 18, would that save his/her soul alive? No, that person would not have saved his or her soul alive in this world. However, that person would yet have been eternally justified and eternally saved in the life to come. And if so... I wonder why that verse (and some others) are in there? It's clear that repentance is a condition in verse 27 when the person "turneth away from his wickedness", and I do not contend on that at all. But what I do question is the condition listed as doing that "which is lawful". I (myself) understand "lawful" to mean keeping commandments/works based. I can't just throw that verse and it's meaning out to fit what I might want it to mean, I have to read to for what it says. I really do think that doing what is "lawful" is works . . . Indeed. Herein we would have full agreement.
. . . And I also believe that if it were just the death of a body (physical death) it would not have said "soul". Which is the reason that you have a problem with these verses, because you lack a correct understanding concerning the meaning of the word "soul" as used throughout God's Holy Word and within the immediate context of Ezekiel 18. "The word of the LORD came unto me again, saying, What mean ye, that ye use this proverb concerning the land of Israel, saying, The fathers have eaten sour grapes, and the children’s teeth are set on edge? As I live, saith the Lord GOD, ye shall not have occasion any more to use this proverb in Israel. Behold, all souls are mine; as the soul of the father, so also the soul of the son is mine: the soul that sinneth, it shall die. But if a man be just, and do that which is lawful and right, And hath not eaten upon the mountains, neither hath lifted up his eyes to the idols of the house of Israel, neither hath defiled his neighbour’s wife, neither hath come near to a menstruous woman, And hath not oppressed any, but hath restored to the debtor his pledge, hath spoiled none by violence, hath given his bread to the hungry, and hath covered the naked with a garment; He that hath not given forth upon usury, neither hath taken any increase, that hath withdrawn his hand from iniquity, hath executed true judgment between man and man, Hath walked in my statutes, and hath kept my judgments, to deal truly; he is just, he shall surely live, saith the Lord GOD. If he beget a son that is a robber, a shedder of blood, and that doeth the like to any one of these things, And that doeth not any of those duties, but even hath eaten upon the mountains, and defiled his neighbour’s wife, Hath oppressed the poor and needy, hath spoiled by violence, hath not restored the pledge, and hath lifted up his eyes to the idols, hath committed abomination, Hath given forth upon usury, and hath taken increase: shall he then live? he shall not live: he hath done all these abominations; he shall surely die; his blood shall be upon him. Now, lo, if he beget a son, that seeth all his father’s sins which he hath done, and considereth, and doeth not such like, That hath not eaten upon the mountains, neither hath lifted up his eyes to the idols of the house of Israel, hath not defiled his neighbour’s wife, Neither hath oppressed any, hath not withholden the pledge, neither hath spoiled by violence, but hath given his bread to the hungry, and hath covered the naked with a garment, That hath taken off his hand from the poor, that hath not received usury nor increase, hath executed my judgments, hath walked in my statutes; he shall not die for the iniquity of his father, he shall surely live. As for his father, because he cruelly oppressed, spoiled his brother by violence, and did that which is not good among his people, lo, even he shall die in his iniquity. Yet say ye, Why? doth not the son bear the iniquity of the father? When the son hath done that which is lawful and right, and hath kept all my statutes, and hath done them, he shall surely live. The soul that sinneth, it shall die. The son shall not bear the iniquity of the father, neither shall the father bear the iniquity of the son: the righteousness of the righteous shall be upon him, and the wickedness of the wicked shall be upon him. But if the wicked will turn from all his sins that he hath committed, and keep all my statutes, and do that which is lawful and right, he shall surely live, he shall not die. All his transgressions that he hath committed, they shall not be mentioned unto him: in his righteousness that he hath done he shall live. Have I any pleasure at all that the wicked should die? saith the Lord GOD: and not that he should return from his ways, and live? But when the righteous turneth away from his righteousness, and committeth iniquity, and doeth according to all the abominations that the wicked man doeth, shall he live? All his righteousness that he hath done shall not be mentioned: in his trespass that he hath trespassed, and in his sin that he hath sinned, in them shall he die. Yet ye say, The way of the Lord is not equal. Hear now, O house of Israel; Is not my way equal? are not your ways unequal? When a righteous man turneth away from his righteousness, and committeth iniquity, and dieth in them; for his iniquity that he hath done shall he die. Again, when the wicked man turneth away from his wickedness that he hath committed, and doeth that which is lawful and right, he shall save his soul alive. Because he considereth, and turneth away from all his transgressions that he hath committed, he shall surely live, he shall not die. Yet saith the house of Israel, The way of the Lord is not equal. O house of Israel, are not my ways equal? are not your ways unequal? Therefore I will judge you, O house of Israel, every one according to his ways, saith the Lord GOD. Repent, and turn yourselves from all your transgressions; so iniquity shall not be your ruin. Cast away from you all your transgressions, whereby ye have transgressed; and make you a new heart and a new spirit: for why will ye die, O house of Israel? For I have no pleasure in the death of him that dieth, saith the Lord GOD: wherefore turn yourselves, and live ye." These passages are not indicating works based justification. However, what they do indicate is faith without the new birth's sealing, eternal security of the Spirit. There is no evidence of regeneration in the OT although many argue that fact. I have read the arguments and IMO feel they are based on pretext without any clear description of regeneration. I believe Jesus made it clear that the new birth begins for all believers upon His Ascension. I also believe Jesus stated that His own disciples were not yet regenerated. Faith only saved God's servants in the OT but their faith was maintained by themselves with the aid of direct revelation, miracles, wonders and signs that no longer exist during our age. Could a person turn from the Living God unto idols in the OT? Absolutely and it happened often. Can a born again believer in our time turn from the Living God unto idols? IMPOSSIBLE. I also believe that the days of regeneration started at Pentecost In Acts and will continue all the way up until the rapture. After that faith will be maintained by sight as it was in the OT. But the key doctrine here is faith and not works. Faith produces works. Fleshly works never pleased God. Works because they believed always pleased God. Now reread Eze 18:26 from the perspective I just wrote in this post and see if you see it differently. Abraham "believed God" that Isaac would "have seed" (ie: children, descendants). So, Abraham also believed in the resurrection, had Isaac died. In obedience he "offered up" his ONLY son (btw: technically he had "another son" - Ishmael). Bits and pieces, but no mention of "Jesus" or that he would die for the sins of the whole world, be buried and be raised again the third day. If you can find this in Genesis 3:15, then by-all-means elaborate on it. Why the rabbit trail? I thought we were talking about Abraham's offering of Isaac. However, if you can't see the Lord Jesus Christ and his work (based on other scriptures) in Genesis 3:15, then I don't know what to tell you. Are you saying that Genesis 3:15 doesn't refer to the Lord Jesus Christ? Thank you both for your answers Pastor Markle and "wretched". Ezekiel 18:27 " Again, when the wicked man turneth away from his wickedness that he hath committed, and doeth that which is lawful and right, he shall save his soul alive." I do see what you are trying to say, "wretched". I don't have a problem with understanding verse 26. It makes perfect sense to me. I agree that (in the age of grace anyways) faith produces works, AFTER we are saved (and has no part of salvation in the age of grace). But here's the problem (to me). Faith produces works in this current dispensation because we are indwelled with the Holy Spirit which guides and leads us to the desire to do things pleasing to the Lord. Do you agree ("wretched") that it is the Holy Spirit which indwells us now that guides us to those desires (as well as guides us away from worldly/fleshy desires) in the age of grace? If not, please explain why (and thank you for your time). If so, and since we know the Holy Spirit did not indwell OT believer's (and could not have indwelt believer's until Christ's willing death/burial/resurrection). I know some disagree on this, I don't mean to open up that can of worms for debate again, I am interested in knowing if that's what you believe "wretched" so that I can better understand your answer. If you aso believe this, how could an unsaved/unbelieving person in the OT (as in verse 27) have the faith to do the good works? If they do not yet have the faith, how could the works be valid? Works alone saves no-one in any dispensation (in my understanding). However, in verse 27, the unbelieving "wicked man" does not have faith YET (or if he does, it isn't told to us, and I assume he does not since he is still called "wicked"), and is not indwelt by the Holy Spirit and so has no inclination to do good works. Yet the verse tells him to do "that which is lawful" in part of saving "his soul alive". Pastor Markle, You are saying that in Ezekiel 18:27, the word "soul" doesn't really mean "soul" but means "physical life/physical death"? Wonder why the Holy Spirit inspired word given is "soul" and not just "life" as in other verses? Reading other verses in the entire chapter as well seems to only clarify the point that "soul" meant exactly that.... "soul". Verses 31-32 also make the point for the need of a "new heart" and a "new spirit" which also do not denote only a physical life/death. 31 Cast away from you all your transgressions, whereby ye have transgressed; and make you a new heart and a new spirit: for why will ye die, O house of Israel? 32 For I have no pleasure in the death of him that dieth, saith the Lord God: wherefore turn yourselves, and live ye. So I must respectfully disagree: physical death and physical life are NOT the only issue in Ezekiel 18. And I must also disagree that "soul" means "physical life/death". Instead "soul" means "soul" as written. No. I was not attempting to indicate that "soul" does not mean "soul," but that it means "physical life/death" in this passage. In this passage, just as every where else in Scripture, the word "soul" means the word "soul." Rather, what I was attempting to indicate is that you have a misunderstanding concerning the meaning of the word "soul" itself, as used everywhere throughout the Holy Scriptures. The word "soul" in Scripture does not necessarily mean "eternal soul" as we so commonly use the phrase. In fact, the phrase "eternal soul" is never found in Scripture. Rather, the word "soul" in Scripture means "essential personhood." As such, it can at times refer to that part of us (the "who we essentially are" part) that departs from the body at physical death and goes into the eternal life to come. However, it also can (and very often does) refer to our present personhood (physical life) in this present life. As such, the use of the word "soul" in relation to the idea of "death" is commonly employed throughout the Old Testament simply for physical death. God showed Himself literally throughout the OT (either He Himself, through Angels or through the prophets), this is why they believed and worked and kept their faith. He will show Himself through signs and wonders once again during the tribulation and He will always be shown throughout the millennium. But always faith first then works to demonstrate faith. Ever wonder why you never see any real signs and wonders during this age? I mean Biblical miracles, not that overactive thyroid type charismatics claim. "All souls are mine", the Lord says. So, we have to ask ourselves...are all "souls" God's? Well, the obvious answer is no. A lost "soul" doesn't belong to the Lord...unless you subscribe to Calvinism. Remember Christ's words...Ye are of your father, the devil. Their "souls" didn't belong to God. Do "souls" die? Do they cease to exist? Well no, they will experience "the second death"; which is, to be cast ALIVE into the lake of fire where they will spend eternity in CONSCIOUS torment. Therefore, whether saved or lost, the "soul" never dies. Ezekiel 18 is referring to physical life/death. Did Abram carry "souls", or did he carry other people with him? Faith produces works in this current dispensation because we are indwelled with the Holy Spirit which guides and leads us to the desire to do things pleasing to the Lord. Again, that sounds Calvinistic to me. While the Holy Spirit does guide us unto all truth, I believe the new nature that we receive through the new birth is what guides and leads us to do things pleasing to the Lord. Dear "wretched", I do agree with much of what you said. I do agree that the sign gifts will again be in use in the tribulation. The sign gifts are not now available because God had a specific use for them (in part: 1 Cor. 1:22). And I also believe that the gifts of the Spirit are currently all based in faith, hope, charity. (1 Cor. 13:3) With the greatest of these being charity (love). Brother "NN", I have to admit, this is the first time anyone ever suggested I have said something which sounded "calvinistic", there's a first time for everything, lol. Rather than "calvinistic", I believe what I said (about the Holy Spirit leading/guiding) is Biblical. 14 "He shall glorify me: for he shall receive of mine, and shall shew it unto you." Romans 8:26 "Likewise the Spirit also helpeth our infirmities: for we know not what we should pray for as we ought: but the Spirit itself maketh intercession for us with groanings which cannot be uttered." Romans 5:5 "And hope maketh not ashamed; because the love of God is shed abroad in our hearts by the Holy Ghost which is given unto us." Ephesians 4:30 "And grieve not the holy Spirit of God, whereby ye are sealed unto the day of redemption." I could likely post a few more, but I don't see how it's "calvinistic", but instead Biblical, to believe that the Holy Spirit DOES guide and lead us (those who have accepted/believed upon Jesus for salvation and have the indwelling of the Holy Spirit) to do the right things and to stay away from the wrong things. Also, a "calvinist" generally believes in replacement theology, and I do not. The Holy Spirit leads and guides, not just in thought/understanding but in deed/action. the choice is still ours to make as to what we will say or do. We still have free will (otherwise there would have been no need to say "grieve not the holy Spirit of God"), when we choose (by free will) to go against what the Holy Spirit is guiding/leading us to do it grieves the Holy Spirit. I felt compelled to answer the above posts in regard to the sign gifts as well as the leading/guiding of the Holy Spirit. Neither of these topics have to do with the original post regarding a timeline chart, and so I apologize to "2T3:16" for disrupting the thread, and/or taking it off topic again. It happens easily when one thought leads to another and many topics are entertwined. If anyone would like to discuss any of these topics, maybe we could start another thread. If the Holy Spirit causes us to do things pleasing to God (which is how I interpreted what you said), that sounds Calvinistic to me. I'm not saying you're a Calvinist...I'm just saying that if our actions are determined by God, that's Calvinistic. I don't know maybe it's "Determinism". Whatever the case, it removes freewill. Look at all of those verses that you posted again; none of them say that the Holy Spirit leads and guides our actions. He will lead us into truth; therefore, he will convict us of what is right (and wrong) to do, but what we do is up to us. The new nature that we receive wants to do what pleases God. Nothing Calvinistic about being led by The Spirit (Holy Spirit) Especially since the war between the new nature and the old still rages on. 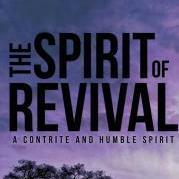 If a Christian "walks after the Spirit" then it stands to reason that they are led and guided by that same Spirit. Yes, but to be led by the Holy Spirit requires our willingness to follow, which is the point NN seems to be making. The Holy Spirit will lead us, if we allow Him to, but the Holy Spirit doesn't force us to follow Him. I think that's the distinction. Okay. Perhaps there is a misunderstanding here. What I interpreted from Ronda was that the Holy Spirit causes us to do things pleasing to God. If I misinterpreted what she was saying, I apologize. so where did Job get the doctrine of the resurrection? We can see God is going to come and stomp Satan, but Job knew dead people was gong to be raised with some kind of new flesh! 1. "For I know that my redeemer liveth, and that he shall stand at the latter day upon the earth." - An everlasting Redeemer. 2. "And though after my skin worms destroy this body, yet in my flesh shall I see God." - A bodily resurrection. 3. "Whom I shall see for myself, and mine eyes shall behold, and not another; though my reins be consumed within me." - A personal salvation and an eternal redemption. 1. "Behold, the Lord cometh . . . to execute judgment upon all . . . ." - A coming judgment before the Lord. 2. "Behold, the Lord cometh with ten thousands of his saints . . . ." - An eternal salvation for sinners. The OT saints knew much more than we often give them credit for. IMO this might be true but only assuming that God revealed more to them than what He told them to write. It is clear that the general picture of the Gospel was given, IE a kinsman redeemer suffering for the sins of Israel to redeem them back to God. However it was revealed (as far as we can possibly know) in small pieces to the prophets (none of which got the whole generalized picture) over 10 to 100+ years apart from each other. With absolutely no details provided in any way. IMO we err when we try to put our hindsight glasses on the OT prophets or anyone else in the OT. There is a reason why God did it the way He did, I recommend folks stop second guessing Him. What saved them is that they believed God no matter what He said to them. In addition, He audibly told them much of the OT and showed signs and wonders through visions, dreams, Angels and even He Himself. I never said, nor did I mean to even insinuate that the Holy Spirit causes or in any way forces us to do things pleasing to God. It is more of a leading/guiding and drawing us towards good and away from evil. The free will is still ours to CHOOSE whether to do what's right or what's wrong. Indeed things were different in how the Lord dealt with the people but salvation has always been through faith, as you and others have rightly pointed out. I don't believe the OT saints knew all we know, but they did know God was sending a Redeemer, they were looking for the coming Messiah, Christ. They knew they could trust God with their lives on earth and their lives after death and that faith in God was what was required, not sacrifice or works. So it means physical life/death in this passage (according to you) AND then you deny you said it. This coming from a pastor is very upsetting. That is not correct. Please follow the grammar of my sentence. It appears that you took my above statement as if it read the following -- I was NOT attempting to indicate that "soul" does not mean "soul," but [I WAS attempting to indicate] that it means "physical life/death" in this passage. However, such is NOT what I actually said. Grammatically, in my actual statement both "that" phrases are modifiers for the infinitive "to indicate," wherein they serve as a compound direct object for the verbal "to indicate." Grammatically, in my actual statement the infinitive "to indicate" initiates an infinitive phrase, in which is included the entire rest of the sentence, and which serves as the direct object for the main verb of my statement "was attempting." Grammatically, in my actual statement that main verb of my statement "was attempting" is negated by the adverb "not." Main statement -- I was NOT attempting to indicate . . .
That which I was NOT attempting to indicate -- That "soul" does not mean "soul," but that it means "physical life/death" in this passage. 1. I was NOT attempting to indicate -- that "soul" does not mean "soul." 2. I was NOT attempting to indicate -- that "soul" means "physical life/death" in this passage. Sir, As per your apology in regard to tone. Apology accepted. I again accept your apology. However I still do not agree in full. Hopefully we can agree to disagree. I do not care to continue this discussion, unless you want to pursue it further in which case I will likely answer for myself if I feel compelled. I understand that you do not interpret scripture the same way I do...We both believe we are taking the scripture literally. I can agree to disagree, but as always, I cannot agree with something I do not in fact agree with (as I would not expect you to either). However, I do hope we can regain/return to the civil, mostly respectful manners in which we addressed each other before. Thank you again for your courteous discussion. it means "physical life/death" in this passage. 1. "I was not attempting . . . ."
2. What was I NOT attempting? ". . . to indicate . . . ."
When above you quoted just the phrase, "it means 'physical life/death' in the passage," you chose to interpret it OUT OF its grammatical context. Even so, you came to a false interpretation of what I said, by which you then attempted to tell me what I myself meant. I know that may have been as clear as mud, I hope not.